MMM…salsa! 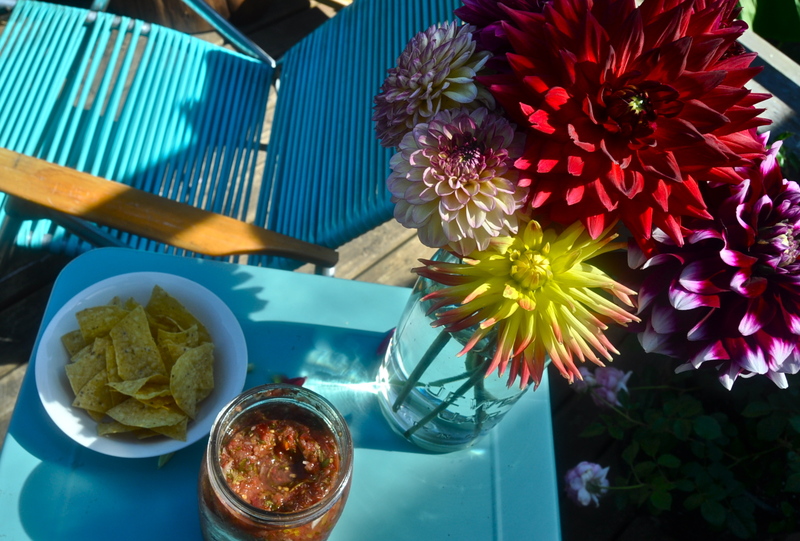 Can your salsa make you sexier?….Mine can. Fermenting the salsa adds all of the health benefits listed here, and here, as well as improving the flavour. Because it is fermented, any foods that you eat along side it will digest more easily. 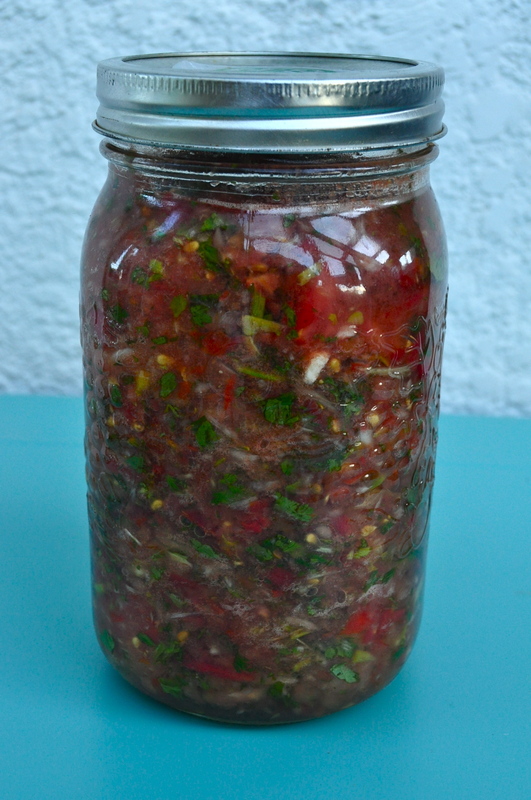 The way I see it, salsa is basically salad, as you are getting a big serving of raw vegetables. When I make this I serve it with any and everything. My new favorite way is to serve it as a dip for raw veggies sticks (carrots, celery, and bell peppers). I also love it mixed with avocado and eaten with tortilla chips, in quesadillas, eaten with beans and rice, scooped over taco salad, or mixed in with some free range scrambled eggs. Pack into a quart sized mason or fido jar, leaving about an inch of headspace, and secure lid. Leave at room temperature for 2 days. Taste after 2 days and, if you like the flavour, move to the fridge. If you’d like it a little tangier allow to ferment for another day or so before moving to the fridge. This will store for a few months (if it lasts that long!). If you like, before serving add in corn, beans, avocado, or diced peppers. 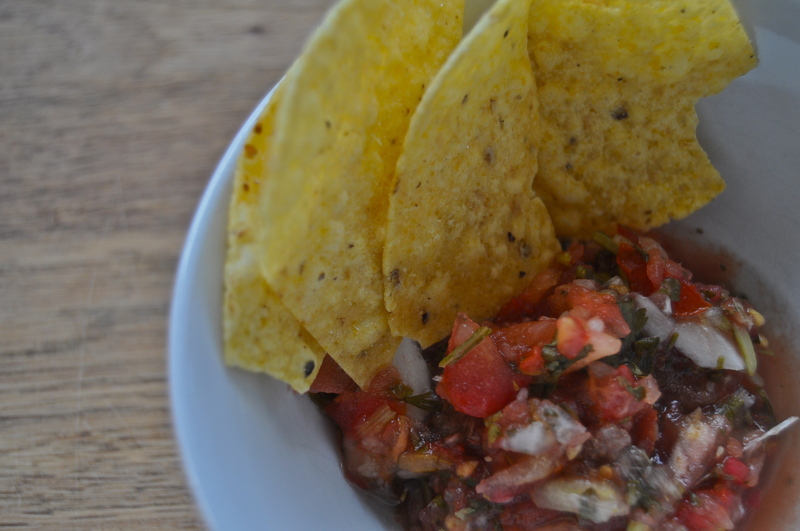 This entry was posted in raw, snack, vegan, vegetarian and tagged cultured, dairy free, easy, gluten free, lacto-fermented, no whey, pico de gallo, recipe, salsa, vegan. Bookmark the permalink.